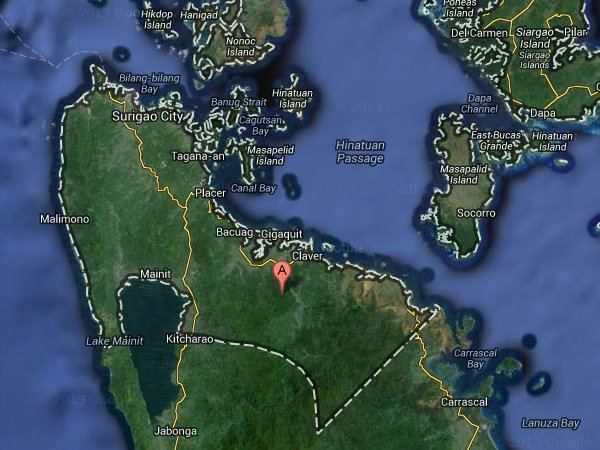 Surigao del Norte is a province of the Philippines located in the Caraga region in Mindanao. Its capital is Surigao City. The province consists of two major islands—Siargao and Bucas Grande—in the Philippine Sea, and a small region at the northernmost tip of the island of Mindanao. This mainland portion borders Agusan del Norte, and Surigao del Sur to the south. Surigao del Norte is the second northernmost of the Mindanao provinces and is an important transportation hub between Visayas and Mindanao. Numerous ferries cross the Surigao Strait between Surigao and the island of Leyte carrying vehicles and passengers between Liloan in Southern Leyte and Surigao City. Mangroves are the major vegetation in the coastal areas of the province. The salt-water loving trees form interminable marine forests covering 175 square kilometres (68 sq mi) along the coasts of the mainland and the islands of Siargao and Bucas Grande. The province also boasts of a variety of marine ecosystems like the lush seagrass beds and coral reefs which are relatively healthy and intact, supporting a rich diversity of marine flora and fauna. Many who are interested in game fishing and spearfishing will enjoy its bountiful seas along the tuna route. Over 23 different species are caught the whole year round. Marlin, tuna, lapu-lapu, mollusks, crabs, even squids, stingrays and octopuses can be bought fresh and cheap from the fish vendors and fishermen. The unique "magcono" (ironwood) forests of Surigao del Norte are still one of the watersheds most productive resources. By its nature, it is slow growing and adapted to a mineralized soil. It must be carefully managed for sustained productivity. The province also has many caves and tunnels in its islands. Some are half-submerged in water most of the time and could be accessed only during low tides like the Sohoton Cove at Bucas Grande Island. Its biggest islands are usually mountainous and rich in minerals. Nonoc Island has one of the worlds largest deposits of nickel. The smaller ones either rest on sand and gravel or have a limestone base bonded by boulders, reefs and sandbars. Some islets like those in Del Carmen in Siargao Island are actually nothing more than a cluster of rock formations jutting out from the sea crowned with shrubs and coconut trees. There are also springs, lagoons, caves, waterfalls, mangroves, marshes and whirlpools which are more appealing to all nature lovers. Surigao del Norte is a mosaic of islands at the rim of the Asian continental shelf. It is perched at the northeastern tip of Mindanao and faces that abyssal canyon known as the Philippine Trench. It is bounded by the Dinagat Islands on the north, east by the vast Pacific Ocean, south by the Provinces of Agusan del Norte and Surigao del Sur, and on the west by the historic Surigao Strait. The province has an area of 197,293 hectares (487,520 acres) which is roughly equivalent to 9.67 percent of the total land area of Northern Mindanao. It embraces within its domain 27 municipalities and a component city. Surigao City, the provincial capital is dubbed as the "Gateway to Mindanao". 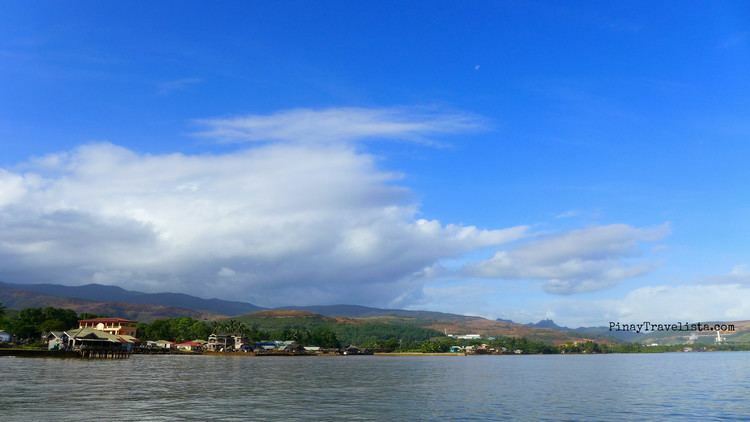 The ferry landing terminal in Lipata links Mindanao to Luzon through Eastern Visayas. It annually showcases in full regalia its distinct cultural heritage through the Bonok-Bonok Maradjao Karadjao" Festival. It is a provincial city that offers a respite from the busting metropolitan life. On the Northern side of the province are Siargao and Bucas Grande Islands. These island paradises are famous for their long stretch of sugar-fine beaches, perfect surf, vast mangrove forest, and deep waters teeming with a plethora of marine life. The Panhutongan and Amoslog archeological excavations in Placer would give a glimpse of the origins of the province and its people. Such is the image of Surigao del Norte. It is a montage of history and unspoiled beauty. An untouched eden warmed by smiles of people with unquenching thirst for an exuberant lifestyle. On September 18, 1960, pursuant to the Republic Act 2786 dated June 19, 1960, the province of Surigao was divided into Surigao del Norte and Surigao del Sur. The town of Surigao became a city on August 30, 1970 pursuant to RA 6134. Atty. Pedro R. Espina became the first City Mayor. Dinagat Islands had been a part of the First District of Surigao del Norte until becoming a province on its own on December 2, 2006, with the approval of Republic Act No. 9355, the Charter of the Province of Dinagat Islands, in a plebiscite. Between February 2010 and March 2011, the islands were part again of Surigao del Norte but were reinstated as a separate province. Surigao is home to the Mamanwa ethnic tribe. 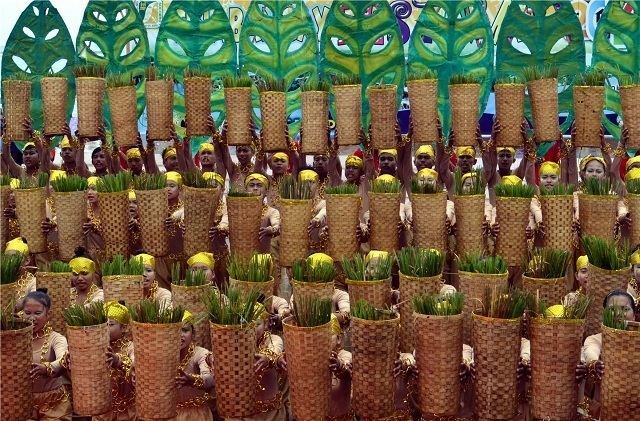 Their dances are showcased in a local festival called "Bonok-Bonok", held at the feast of San Nicolas de Tolentino which is held annually on September 10. The Bonok-Bonok depicts the native folks merry-making to show gratitude to God for bountiful harvest and good health. A collection of ancient archaeological diggings like burial coffins, jars and Chinese ceramics unearthed in Panhutungan, Placer is on public display at the Surigaonon Heritage Mini-Museum located at the Boulevard in Surigao City.